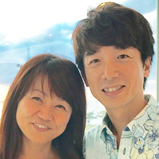 Home > Lead Runners > Tentakaku Co., Ltd.
We are accelerating the opening of shops overseas while promoting the reorganization of shops in Japan. Upon our partner recruitments of franchise partners in foreign countries, offerings from candidate partners are coming in one after another. Currently, we have shops in Hong Kong, four cities in China and Thailand. For franchiser (headquarters) like us, franchise contracts have the merit of expanding business at low cost. Because the shop's land and building will be prepared by a FC partner, we can expand our business in a short period of time. Depending on the foreign country, there are many people who cannot eat pork for religious reasons. Therefore how to customize a soup is also by trial and error for us. 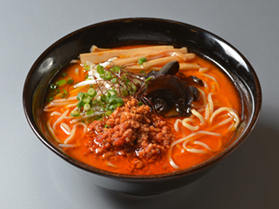 In addition, since the procurement of ingredients is not exactly the same as in Japan, we make soups by arranging with similar ingredients which can be procured in Japan. 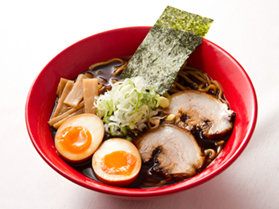 Moreover, there will be the city where Japanese ramen shop is opening for the first time. 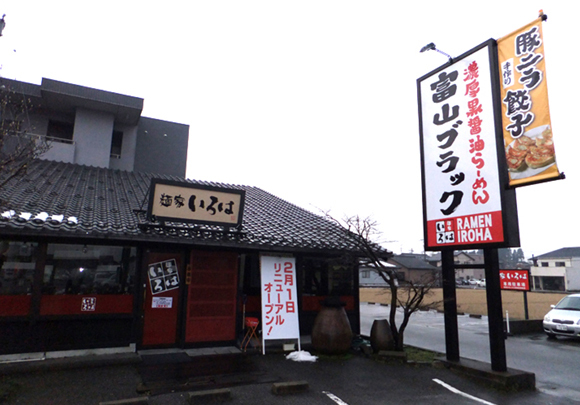 A shop opening in such area is seriously responsible for us because the taste of "Menya (noodle shop) Iroha" may determine the image of Japanese ramen. 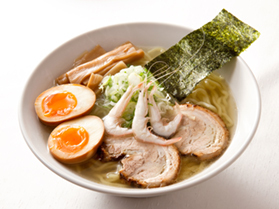 I would like to keep trying so that Japanese ramen will be loved in the area to open. 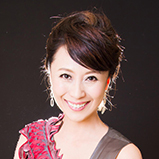 I have received offers from China, Singapore, and Los Angeles since 6 years ago and we opened shops for limited time. At that time, our structure for overseas expansion was not in place, and some issues and problems occurred, but due to limited time, the problem solving experienced at that time became our current know-how. Our overseas franchise development started three years ago in Hong Kong. We received an offer and our franchise deployment has started. Competition in the Japan market is intense, and I think it is difficult to expand shops from now on. Compared to that, we are pleased that overseas markets are gratefully accepted and we still have a lot of offers under good conditions, so we will focus on overseas franchising. We always focus on communications anyway. We have contracted with our partner after building a trusting relationship with each other. Unlike ordinary franchise packages, partners have a high degree of freedom and can be customized by country. Since raw materials are also procured locally, there is no problem of logistics. Our current style is offering our secret sauce only. This sauce is sent by ship for half a year stock, so it can be delivered at a reasonable cost. Regarding ramen noodles, there are areas where the distribution is difficult, in that case, we suggest to purchase a noodle making machine and teach how to make homemade noodles. We use for example wheat flour etc. which can be procured locally. We are not stick to only black ramen but customize the soup according to the market of each country. I am checking the final taste. 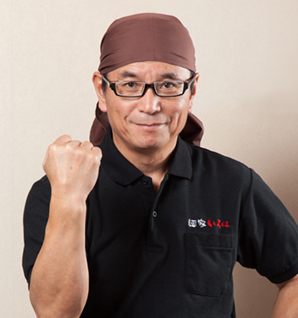 The most important point is the style of franchising the know-how of [Japanese handmade ramen]. We have plans in USA where I advanced six years ago and in Europe where there are many offers coming. Regarding Greece, it has been decided to open a shop at the beginning of the next. Currently there are 7 directly managed shops in Japan and 13 overseas FC shops, but we are aiming for 100 shops in 2020 of the Olympic year. As overseas offers are increasing year by year, I think that it may be larger than our estimation. I want to spread the brand of black ramen in a wide market. 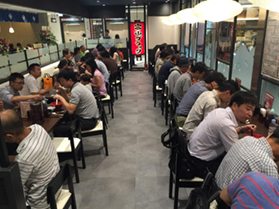 When looking at the increasing number of offers every year, we find there are many candidate partners in the world who want to have the know-how of Japanese handmade ramen rather than franchising packages, so I would like to put more effort into it. 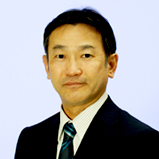 Born in 1954, in Nittakizakicho, Ota city. After graduating from Ota High School, entered Kanazawa Institute of Technology. 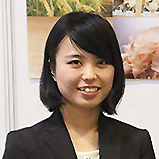 After graduating from the university, joined Sagawa Express Co., Ltd. 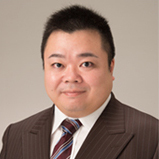 Appointed as president of Fukui Sagawa Express at 29 years old after working as Nagano branch chief manager, Kanazawa branch manager, etc. 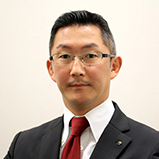 Appointed as president of Toyama Sagawa Express and retired for independent opening at 34 years old. 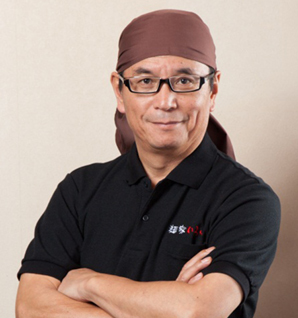 Established two companies, but went bankrupt in three years. Took the debut of 200 million yen. Started a ramen shop for the purpose of earning daily money and surprisingly became a hit. After that, paid out debts in about 10 years and started to develop nationwide. In an effort to disseminate Toyama Black, won numerous awards from Toyama Prefecture including “Toyama Prefectural Governor Prize”, “Prefectural Tourism Federation Special Achievement Award”, etc. Started the opening of overseas shop with franchise system in 2013. 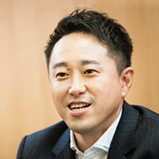 In the future, the company will mainly target the countries where ramen and Japanese foods have not yet expanded and aims to 100 overseas shops in 2020.